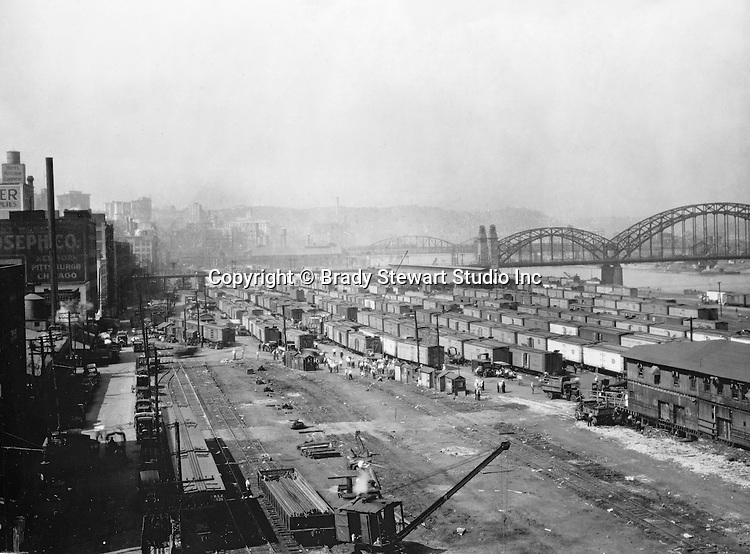 Pittsburgh PA - View of the Pennsylvania Railroad yards in the Strip District section of Pittsburgh - 1925. View of the strip prior to the construction of the produce yards. 16th Street bridge and Allegheny River in the background.